Register each of your entries online and pay the fees online using your credit card. 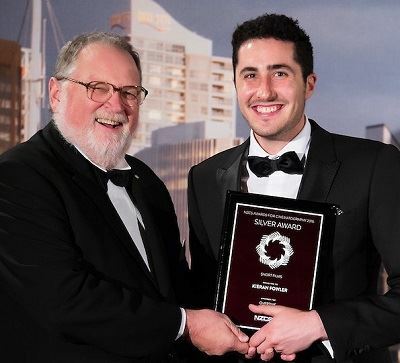 Closing dates for entries for the 2019 NZCS Awards is 13 August 2019. Registration must have been completed, media submission form and media must be received by that date. Subscribe to the NZCS mailing to to make sure you don't miss the call for entries. Since it is not winner-takes-all approach, you may win a gold even if you are up against a production with a much higher budget. A gold, silver, or bronze award brings you and the production recognition for the quality of the cinematography, enhancing your CV and giving you a high quality plaque for your wall. It is a unique opportunity to have your work evaluated and positioned. To enter you need to be a member of NZCS and you must be the principal photographer of the entry, the episode or segment entered. You may enter more than one production. If you are not a member you may join prior to entering. Students who are entered by their film school will get sponsored student membership. Any production shot by a member of the NZCS and publicly released or aired two years before the the closing date for entries may be entered. This year (2019), release date period is from August 1st 2017 through to August 6th, 2019. The production may have been released via any distribution channel, but a feature film must have had a theatrical release first, and a telefeature must not have had a theatrical first release. In the category Specialised cinematography part of a production may be entered, for example an aerial, underwater, or second unit sequence. In some categories a segment or episode may be entered. If you have entered a production in past NZCS Awards it is not eligible to be entered again. A black tie awards dinner will be held on Saturday 12 October 2019 at the Cordis Hotel Great Room in Auckland. 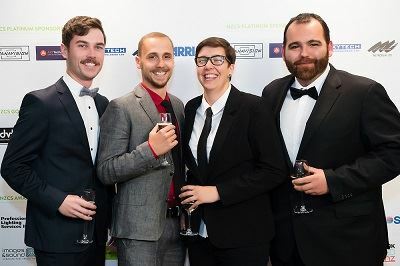 The 2018 NZCS Awards dinner was a fantastic event, and we aim to repeat that success this year. This award is a memorial to cinematographer Al Guilford NZCS and is awarded to the best cinematography entry from an emerging New Zealand-based cinematographer. The Turtz award for contribution toward cinematography is made in memory of the influential camera department icon Ian Turtill. This award is wide ranging and may cover any type of contribution to cinematography in New Zealand. NZCS members may nominate someone for this award, which is usually made to someone who is not a working professional cinematographer themselves. The Cinematographer of the Year Award will be the climax of the awards dinner, and is a best-in-the-show award selected by the judges from all the entries.